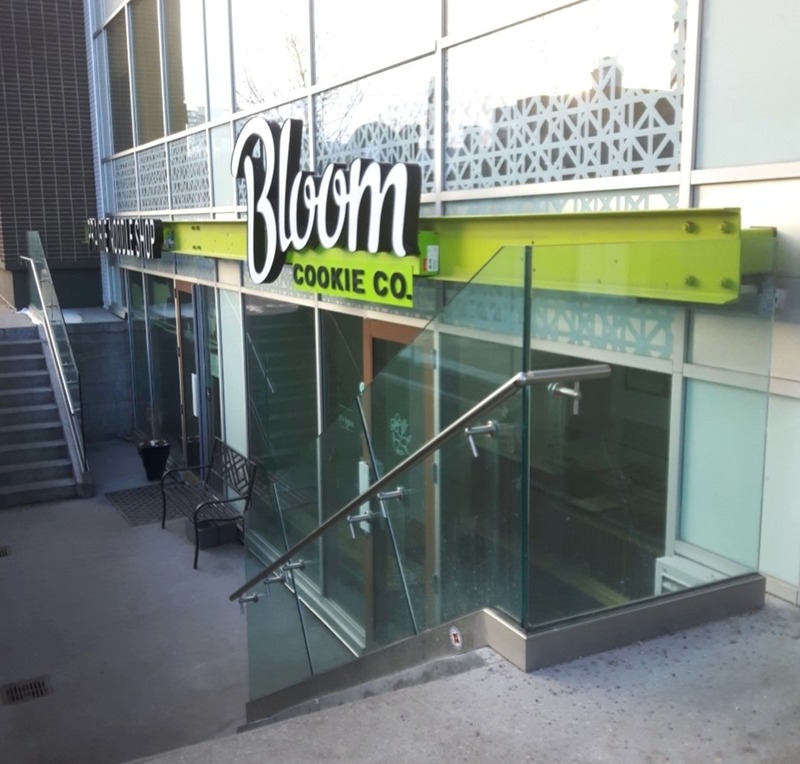 Bloom Cookie Co. has been my go-to Remedy treat for years because of their soft, delicious cookies in flavours like london fog, french toast and black forest. After seven years of selling at farmers’ markets and coffee shops, Ashley Benson and her husband Andrew made the leap from their basement to a storefront on 124th Street in December. I was very excited to check out the new space and the flavours they’ve introduced since opening. 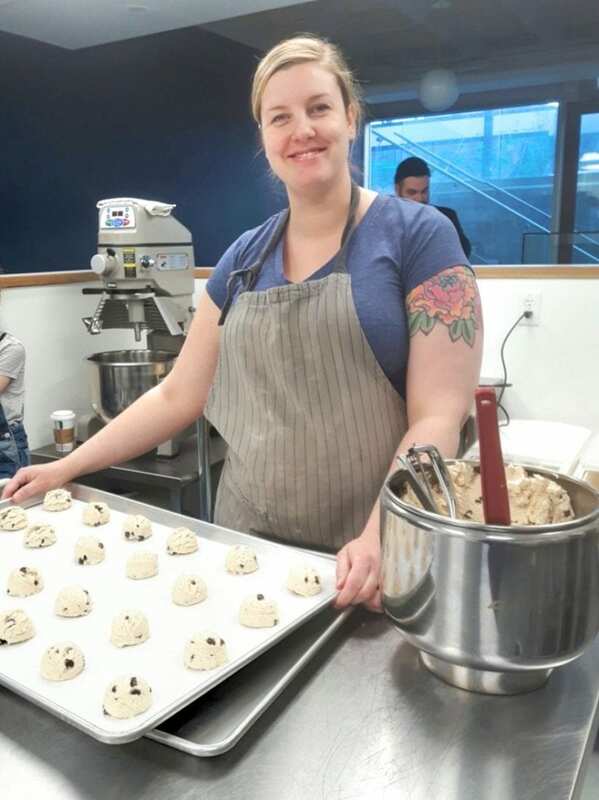 I was greeted by the whole family in aprons prepping for the day, and got to step inside the kitchen to chat as Ashley was scooping out a new experimental flavour: Coffee Chocolate Chip. I left with a couple of their new Toffee Pretzel cookies to sample, which could also be my new favourite flavour. Luckily the store keeps a rotating list of old favourites and new experiments like coconut tumeric so I may have a new favourite every week. I was surrounded by people who were selling their own goods at places like the Royal Bison. Seeing them make something and sell it, I was like, I can do that as well. It was just small steps at a time, starting with “we’ll sell at Bison and see if anyone likes it,” then “let’s try the farmers market, see how that goes,” and it just kept going from there. It’s been really nice because I’ve been able to do it in small steps that I could handle, that worked with my family and the amount of risk I wanted to take. What’s the biggest struggle you’ve had to deal with as a local business? I think, for my business in particular, the biggest struggle is having a niche product. It’s nice to have a niche product because you’re catering for people who can’t have general things. But when you want everyone to try your stuff it’s challenging because they see that it’s vegan and think “I don’t need that so I’m not going to eat it.” It’s not about if you need it, it’s something that’s for everyone. We’ve just been trying to promote that it’s not an exclusive product and we want to include as many people as we can. I just like to make cookies that most people can enjoy. What do you do to have more sustainable business practices? In the store I wanted to support our local economy, and we were successful in that. We were able to use all local businesses for building our space, from our contractor to the front end building with Oliver Apt, Concrete Cat and Triple J Decals & Signs in Leduc doing our wall and sandwich board. We used a local sign company, PM Signs to do our sign outside. We just try to be mindful where we can — I try to use organic ingredients,recycled materials and support our local economy in the city. 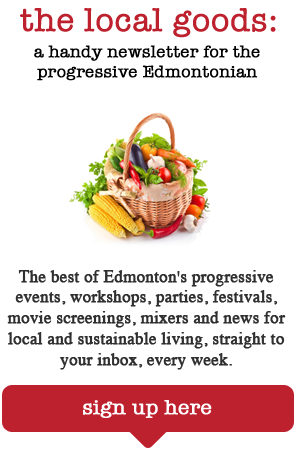 What’s your take on the Edmonton local food and business scene? Do you have any favourite restaurants or products? I love it because it’s always growing. I like to collaborate with other businesses, like we did with Sea Change Brewing Co. A friend of ours, Pete, is a partner in Sea Change and they just came out with their Imperial Stout. We have an oatmeal stout cookie, so we thought that we had to give it a try! I did my recent run of stout cookies with their stout beer and it was awesome. They’re a really great company and really fun guys so it was nice to do. I’m hoping I can try out more of their drinks and put them in cookies because it adds such nice flavour. I just like to see the support that the Edmonton food scene has for each other. I really do feel that there’s enough business for everyone, so we can all work together to serve the city. Clearly this store was a big milestone for you. 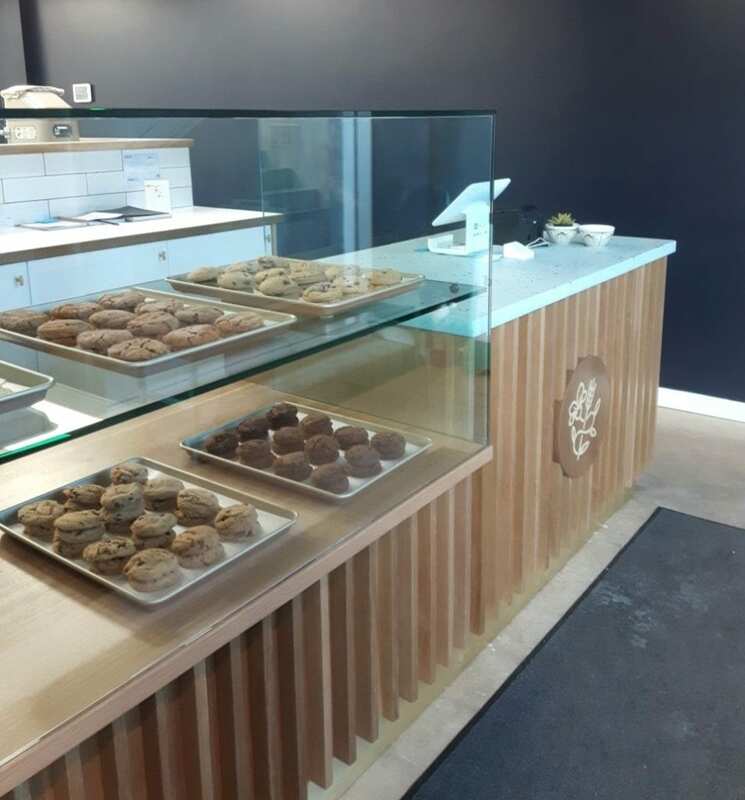 Where do you see Bloom Cookie Co. in three years? This was my biggest step yet. In three years I’m hoping that this store is doing well. I want to see people continually coming in, trying new cookies and bringing their friends. Even just since we opened the doors we’ve had so many new customers who had never heard of us before and that’s awesome. You think enough people know you and then it’s like wow nobody actually knows who we are. There’s a lot of opportunity and I’m hoping we continue to make really unique, fun cookies and maybe new things at the shop. I just like to be creative! Is there anything the City of Edmonton could do to support local businesses like yours? Starting up a new store in Edmonton is challenging. When you’re a new business owner, there’s no rule book.There isn’t anyone helping you out or telling you how to do things so it feels like you’re flying by the seat of your pants, and it’s frustrating. If the City of Edmonton could assign an agent to your business from start to finish for anything the city needs from you, it would be so helpful. Whether that’s a possibility, I have no idea, but I think the consistency across the board would be better if there was one person handling your file. One last question: do you have a favourite cookie? My favourite cookie is still the classic chocolate chip. It’s one that I never get sick of. I could eat it everyday. That’s what all of my recipes started with: if I can nail this chocolate chip cookie then I can do other things.